We looked at the top 10 Bread Machines and dug through the reviews from 104 of the most popular review sites including Village Bakery, Bread Machine Pros, New York Times Wirecutter, BestReviews, BreadMachines.com, KitchenMaker HQ and more. The result is a ranking of the best Bread Machines. 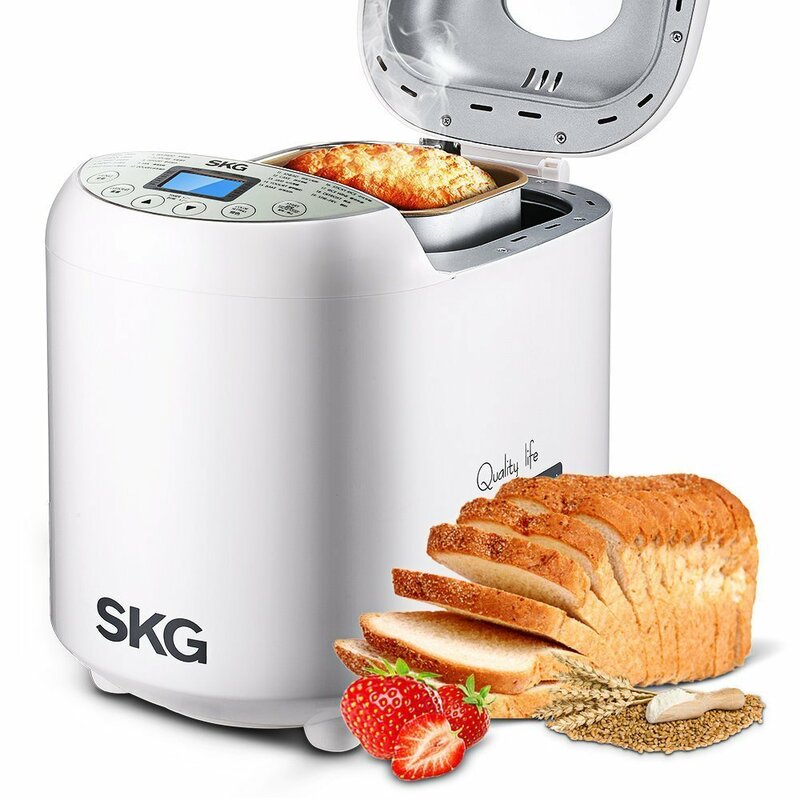 Our experts reviewed the top 10 Bread Machines and also dug through the reviews from 104 of the most popular review sites including Village Bakery, Bread Machine Pros, New York Times Wirecutter, BestReviews, BreadMachines.com, KitchenMaker HQ and more. The result is a ranking of the best of the best Bread Machines. Whether you're interested in making gluten-free, banana nut or sourdough, the Zojirushi Virtuoso bread machine can handle it with ease. You'll get even cooking, thanks to a heater in the lid that ensures your loaves are browned all over. As an extra, the timer gives you a specific time that the bread will be done rather than merely offering a countdown clock. DWYM Kitchen Experts plus New York Times Wirecutter, BestReviews, Village Bakery, Bread Machine Pros, BreadMachines.com, KitchenMaker HQ and 1 more. Along with user reviews from Amazon.
" The settings on the Zojirushi are easy to use, and the digital display lights up, making it easy to read. And, rather than telling you how long the bread has left to bake, like all the other machines we tested,..."
"On the more expensive side." 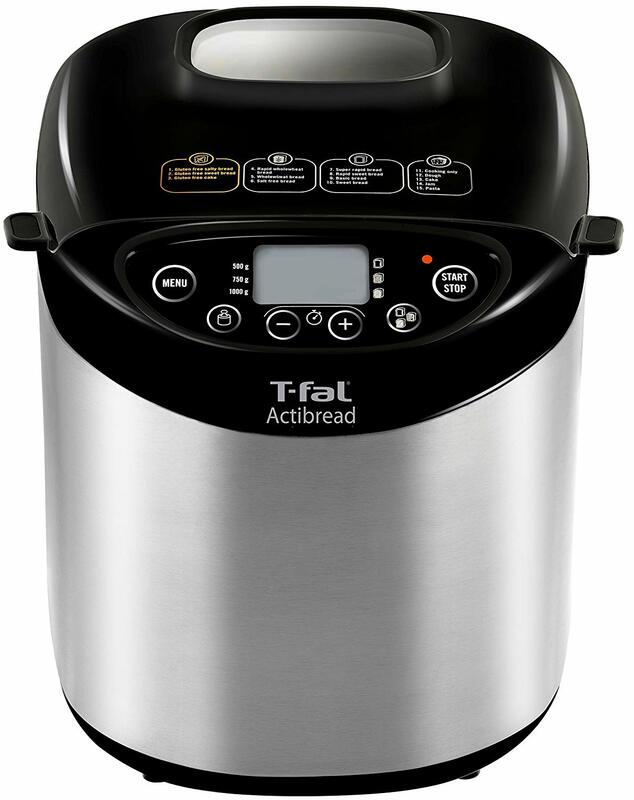 If you're looking for an affordable bread machine that does a great job, the T-fal ActiBread bread maker fits the bill. You'll get an easy-to-understand control panel, along with gluten-free options to help you make bread that fits your nutritional needs. You'll find the loaves are taller than they are wide, but if appearance is less important than taste, this is the bread machine for you. DWYM Kitchen Experts plus New York Times Wirecutter, Best Reviews Guide, Village Bakery, Bread Machine Pros and 1 more. Along with user reviews from Amazon and Walmart.
" This is a good starter machine for anyone not ready to make a big investment." "My one slight issue with it is its appearance. I do dislike the combination of black plastic and stainless steel on the T-Fal. I know this is personal taste, and many of you may disagree with me and think that..."
Fruity loaves, like banana nut bread, require extra ingredients to be added at just the right time. The Breville Custom Loaf bread machine has a fruit and nut dispenser that adds it for you. You'll also get an easy-to-read LCD display and the ability to make pasta and jam by simply choosing the right item from the menu. DWYM Kitchen Experts plus New York Times Wirecutter, Village Bakery, Bread Machine Pros, BreadMachines.com, KitchenMaker HQ and 2 more. Along with user reviews from Amazon and Product Review.
" It has some nice features, like an automatic fruit and nut dispenser and the ability to adjust the time on any cycle as well as program your own." "One of the disadvantages of the Breville BBM800XL includes something with the collapsible kneading paddles." Affordable and versatile, the Oster Expressbake is one of the most popular bread machines sold on Amazon. If you're looking for a starter machine that will help you make basic bread recipes, the Oster will be all you need. It does fall short when it comes to gluten-free recipes. DWYM Kitchen Experts plus Village Bakery, Bread Machine Pros, New York Times Wirecutter, BestReviews. Along with user reviews from Amazon and Target.
" 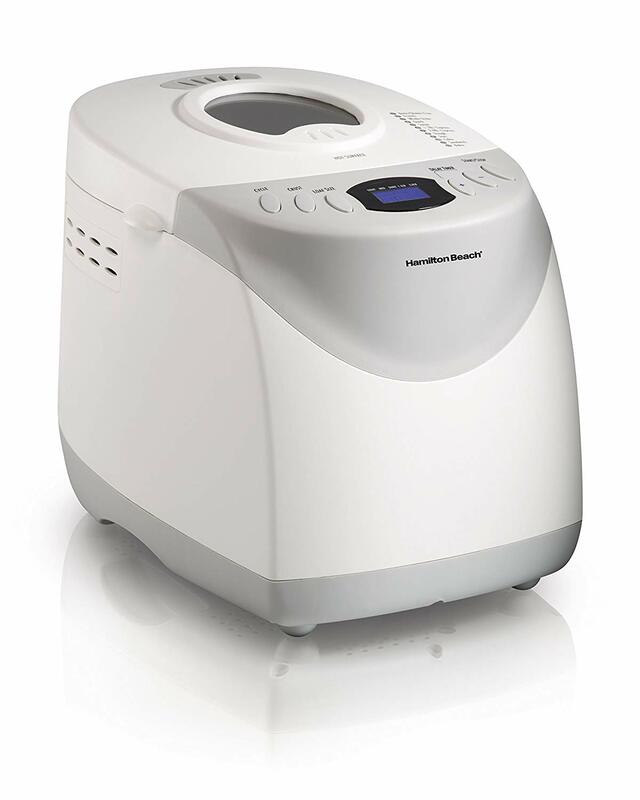 First off, we loved how easy the Oster CKSTBR9050 breadmaker was to use. This is probably the best selling point. Anyone, and I mean anyone, can unpack the CKSTBR9050 and start making bread within minutes." "After baking the bread, the kneading blade/paddle will get stuck to the bottom of the bread. It doesn’t seem like there’s a way around this so you’ll need the kneading blade removal tool that comes with the bread machine. Or..."
We identified the majority of the bread machines available to purchase. 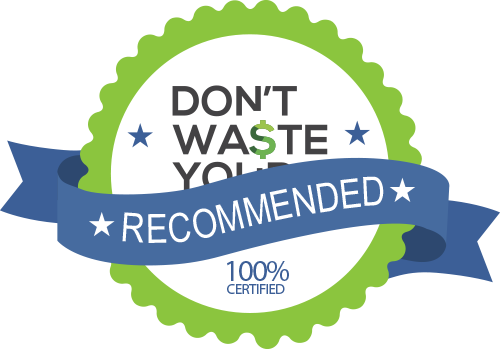 Reviews from our DWYM category experts and analysis of some of the most respected sources including: Village Bakery, Bread Machine Pros, New York Times Wirecutter, BestReviews, BreadMachines.com. We also incorporate user reviews from the leading retailers including Amazon, Target, Product Review, Walmart, Best Buy. One of our favorite features, though, is that the lid has an additional heater for even baking across the top to match the bottom. There’s nothing worse than a doughy product that isn’t all the way baked or cooked. Zojirushi added a top-browning element in the lid to create uniform browning over the top of the loaf. It works equally well for 1 pound, 1-1/2 pound and 2 pound settings. The BB-PAC20 is the only Zojirushi bread maker that has a gluten free course. It has a powerful motor, dual paddles and a heavy construction. It can handle gluten free dough. Two kneading blades do the hard work for you. Remember, just put in the ingredients, set your mode and the machine does the rest. Kneading blades mix the ingredients and work the dough. Zojirushi is the sturdiest of all the machines we tried, but also the biggest, which is a downside for anyone short on space. Another disadvantage of this machine is that through the first bread making cycle or heat application, you’ll find an odor, only because the product is new and must be worn in with the heat in the machine. Dough might sometimes rise unevenly causing the top crust to be slightly higher on one side. This is a good starter machine for anyone not ready to make a big investment. The main thing I love about the T-Fal bread machine is the gluten free options. As a long term baker, I know how different the process of hand baking gluten free bread is compared to making normal bread. Control panel is easy to understand and easy to use. It kneads well and bakes evenly, but loaves come out taller than they are long. The bread pan shape produces a vertical bread loaf, so don’t expect it to look like bread you bought at the bakery. However, all our breads that have come out of this machine had particularly thick crusts. They are also not as fluffy as some of the Japanese machines we’ve tested. In the 1990s, bread machines took over the country, with some saying they’d be the next big essential kitchen appliance. 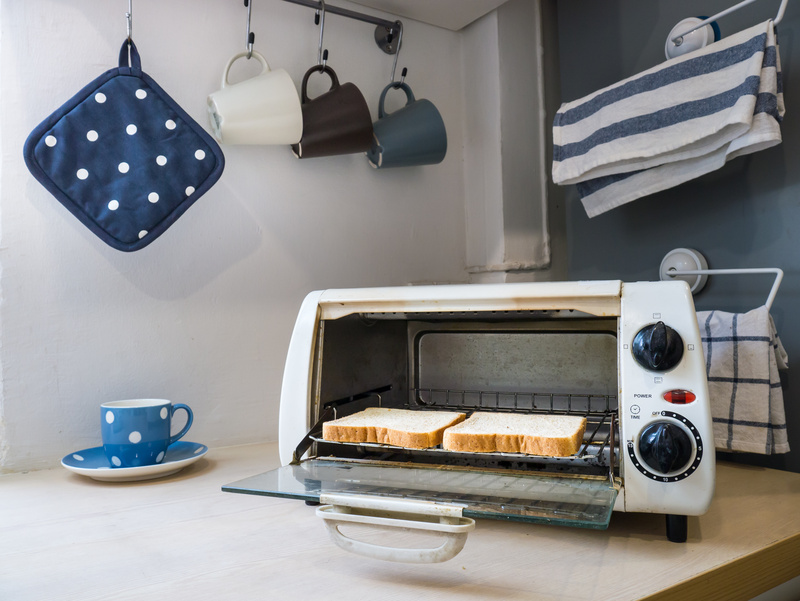 Although the fad soon faded, bread-making appliances stuck around, remaining popular with those who love the taste of regular bread. If you’ve ever tried to make a loaf of bread the old-fashioned way, you likely know the appeal of inserting ingredients and pushing a button for fresh, home-baked bread. Today’s bread machines have come a long way from the early days, especially when it comes to appealing to modern dietary restrictions. Now that they have gluten-free baking options, they’re appealing to an audience of people who have trouble finding delicious bread at the grocery store or neighborhood bakery. But not all bread machines have gluten-free features, and of those that do, only some can bake tasty gluten-free loaves. So it’s important to shop for that specifically if you’re on a special diet. Whether you’re baking a gluten-free or regular loaf, though, you’ll want delicious-tasting bread baked consistently all over. This includes soft slices with the perfect outer crust. Some bread makers do better than others at this, based primarily on the way the machine distributes heat. It’s important to note, though, that some machines produce bread that doesn’t have that traditional “loaf” look and search for one that does if it’s important to you. Some newer bread machines have fruit and nut dispensers that release those ingredients at the exact moment they’re needed. If you plan to make banana bread or date nut bread on a fairly regular basis, this might be a feature to consider while you’re shopping. Bread has a long history, which means it’s the subject of numerous legends and superstitions. In Scotland, for instance, you aren’t supposed to sing while waiting for your bread to rise since doing so will take the wind out of it. While slicing bread, if you accidentally drop a slice, it means friends are on their way. Your parents and grandparents may also have included bread as a good luck charm to new homeowners. It was customary to take a loaf of bread as a housewarming gift as a wish that the owners would never go hungry, as well as a bottle of wine so that they’d never go thirsty. Bread machines can have a bit of a learning curve. You’ll need to first gather all the ingredients you need, then know which buttons to push. The Zojirushi Virtuoso bread maker has a light-up digital display and easy-to-use settings. The Breville Customer Loaf bread maker also has a large LCD screen that’s easy to read. One notable feature in the Zojirushi bread machine is that it tells you what time your loaf will be done, rather than merely giving you a countdown timer. If you plan to make fruity bread, consider the Breville Custom Loaf bread maker, which has a fruit and nut dispenser. Your ingredients will release at the designated time. The Zojirushi Virtuoso bread maker doesn’t have the dispenser, but it does beep when it’s time for you to manually add them. More than 3 million Americans are following a gluten-free diet. Normally this would mean forgoing bread — and bread machines — altogether. However, some bread machines let you make delicious gluten-free bread at the press of a button. The Zojirushi Virtuoso creates gluten-free bread that tastes better than you’ll get in any store. You may even find it tastes better than regular bread. The T-fal ActiBread bread maker also has a gluten-free bread setting. If you want the luxury of creating foods beyond bread, the Breville Custom Loaf bread maker might be the machine for you. You can make pasta and jam by just choosing those options on the menu and inserting the necessary ingredients. If you’re on a budget, you may want to stick with the T-fal ActiBread or the Oster Expressbake since both retail for under $100. Both the Zojirushi Virtuoso and Breville Custom Loaf bread machines retail for more than $250. When it comes down to it, your bread maker needs to put out high-quality, good-tasting bread. All of the other factors are important, but this one is a top priority. 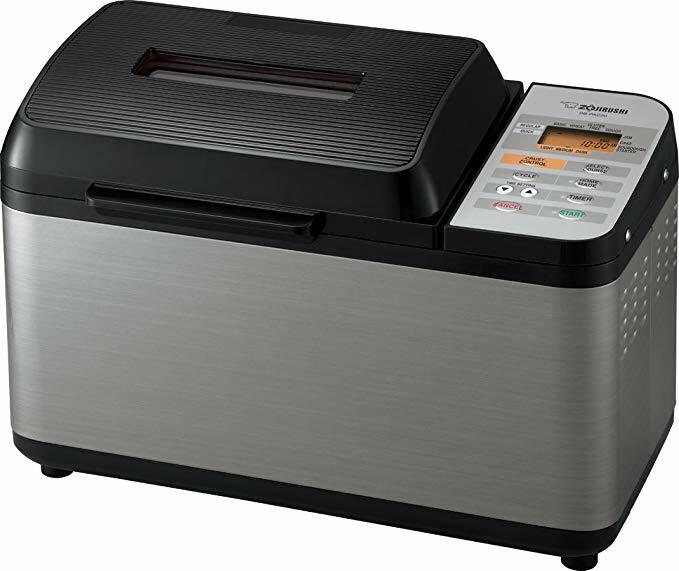 The Zojirushi bread machine has a heater on the lid that ensures each loaf is evenly cooked on all sides. No matter what size loaf you’re making, you’ll get this same result. The T-fal ActiBread makes delicious bread, but the shape of each loaf is different from what you’re accustomed to getting when you buy bread. You’ll find it’s taller and longer. For the Bread Machine category, we analyzed 104 of the most popular reviews including reviews from Village Bakery, Bread Machine Pros, New York Times Wirecutter, BestReviews, BreadMachines.com, KitchenMaker HQ and more. The result is a ranking of the best Bread Machines.